Over the past three years, Born Pretty has evolved from a store merely selling nail art items to a full-service shop selling beauty items including nail art items and cosmetics, accessories, cell phone cases and more. The original inspiration of the name born pretty store comes from the proverb “each woman is born pretty”. 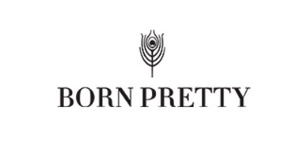 Combining the aim of providing beauty items to the female, they incorporated it into the name “born pretty”store. Bornprettystore is intended to provide each ordinary female, whoever they are, wherever they come from, with the latest fashion items of nail art, make-up and outfits, helping them find the best way to dress up, which ultimately pushes their outside potential beauty to the fullest.